Great read, thanks for sharing! 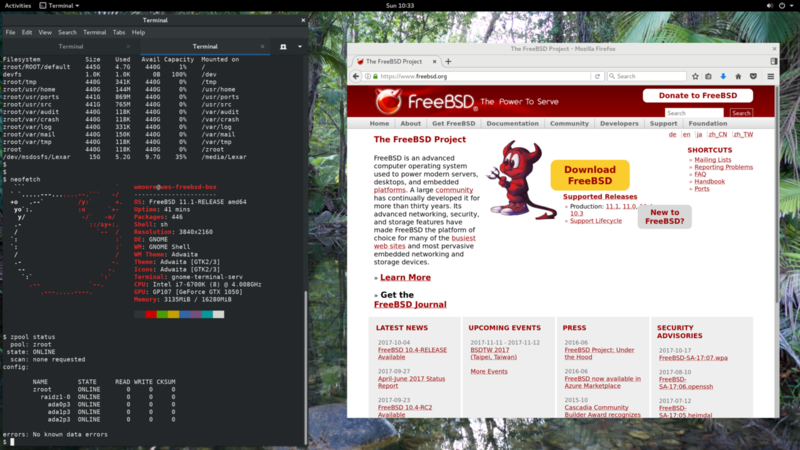 Not sure what all you&apos;re looking for in an OS, but some you might want to consider: #TrueOS (desktop/laptop FreeBSD), #HardenedBSD (secure FreeBSD), #DragonFlyBSD, #OpenIndiana, #9front, and maybe #HaikuOS if they have rust support. If nothing else, they&apos;ll show off some really fascinating ideas worked on by some of the best people I&apos;ve talked to.